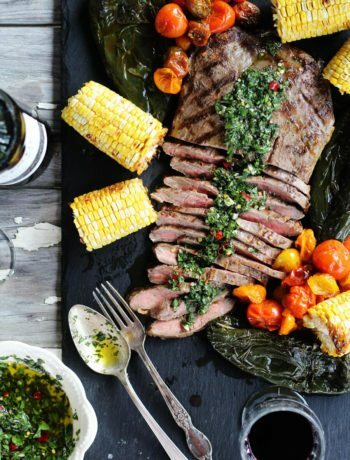 Contrary to popular belief, this food blogger does not dine on filet mignon and caviar. Most nights, our family dines on the basics. Meat, potatoes, veggies. Cheese. One of our go-to cuts of red meat is round steak. This relatively inexpensive cut of beef is also referred to as cube steak or minute steak. My personal favorite way to prepare this affordable budget-stretcher? 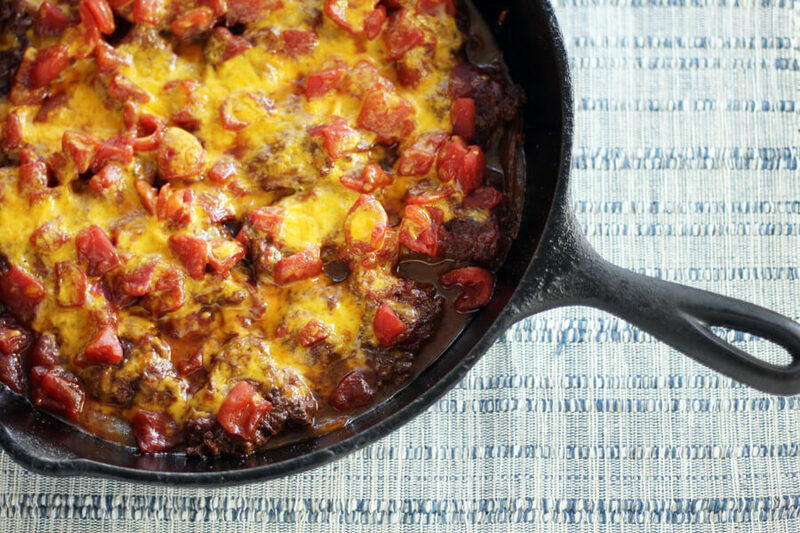 This one-pan meal we call Chili Cheesy Round Steak. Seasoned and pan-fried steak is layered on buttered onions. 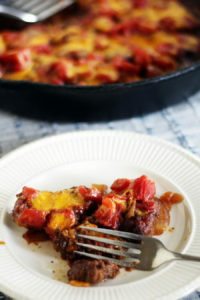 Then we top it with tomatoes and cheese and bake until tender and bubbly. I have to give all the credit for this recipe idea to my mom. But you won’t believe what she made it with. I have to tell you the story behind this recipe. The first time I had it…it was with moose. Yep. Moose. My mother and stepdad lived in Alaska for many years. One summer my brother and I had the trip of a lifetime: 6 weeks in Alaska. Needless to say, my parents introduced my brother and I to the finer points of Alaskan cuisine. I’ve since modified my mom’s recipe (very, very little). And the supply of moose in Tennessee …well, non-existent. 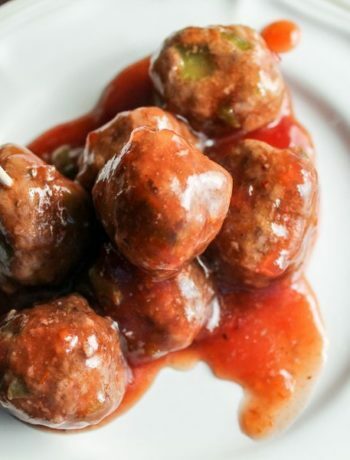 But the recipe works great with round steak or tenderized venison. What I learned? How to take a tough piece of meat and make it tender. Case in point: round steak. Between our family’s home-grown beef and my husband’s hunting habit, our freezer is FULL of this cut of meat. When I think of round steak, I think of a kind of tough piece of meat that has been tenderized. Most of you know it as a cube steak or even a minute steak, maybe? This recipe for round steak uses basic spices found in almost any pantry: chili powder, garlic powder, salt and pepper. That’s it. You don’t need a lot of salt because of the saltiness of the cheddar we are going to add later. You can add a little bit of flour to your spice rub if you’d like. I’ve made it both ways, and it turns out great. 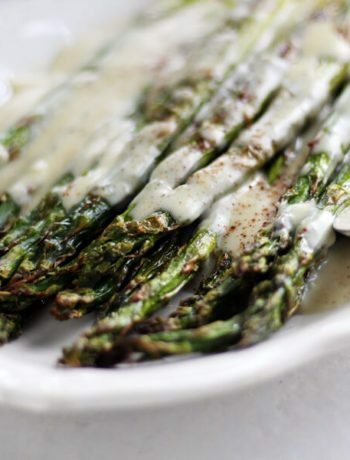 By the way, this is a LOW CARB recipe. Each serving is about 8 grams of carbs if you use 1 tablespoon of flour. To get that chili spice flavor, you mix your spices and rub it directly onto the meat on both sides. (Get the complete recipe at the end of this post.) You aren’t breading the meat, just rubbing it into all the nooks and crannies where it has been tenderized. Once the steak is spiced, cook it in butter over medium high heat. You want both sides to be brown. Don’t worry about cooking it all the way through. It will cook in the oven later. Transfer the well-browned round steak pieces to a plate and cover for later. In the same pan, cook slices of onion for about 10 minutes until they are crisp tender and golden. Cook them in the same butter you used to prepare the steak. If you need more, add it. When the onions are done, arrange the cooked round steak on top of the onions. Pour stewed tomatoes right over the top. You can used large pieces, small diced, whatever you like. Don’t drain the tomatoes! The acid from the tomatoes helps tenderize the round steak while baking. Sprinkle the top generously with shredded, sharp cheddar cheese. Then pop the skillet into a pre-heated oven and bake. 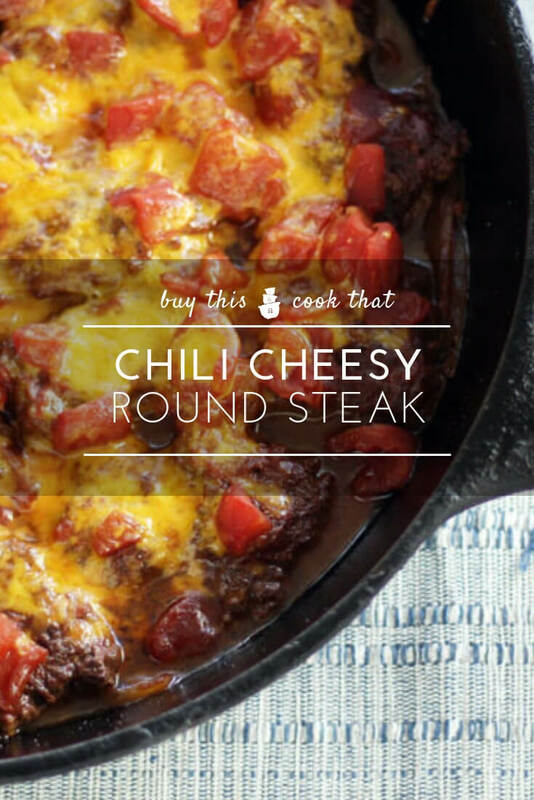 A lot of yummy things happen while the Chili Cheesy Round Steak is baking. The meat soaks up all of the yummy flavors and becomes fork-tender. 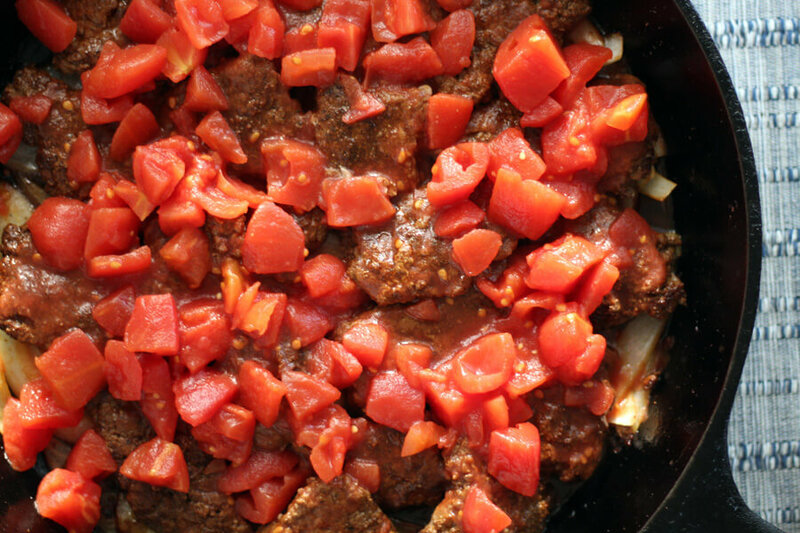 The tomatoes and onions and butter blend with the spices and meat to create a spicy gravy. And, of course, the magic of melty cheddar. 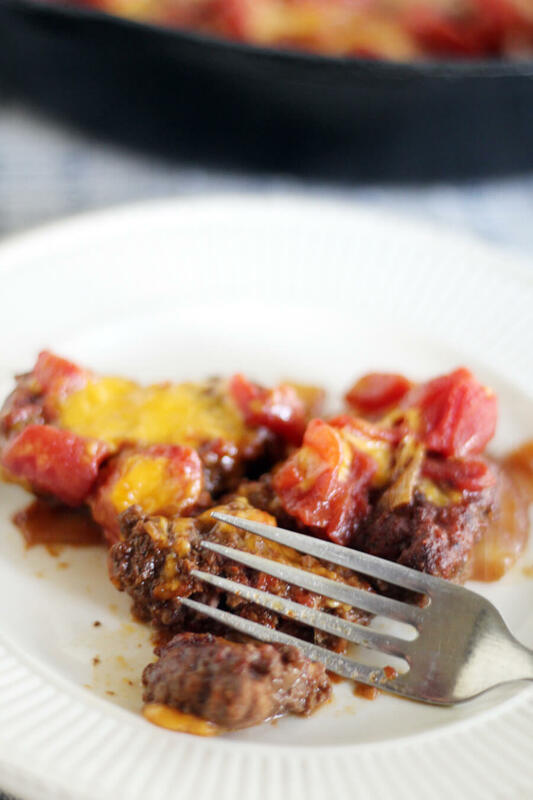 Chili Cheesy Round Steak can easily be doubled and baked in an 8×12 baking dish, too, if you are feeding a crowd. What is your favorite way to prepare round steak? 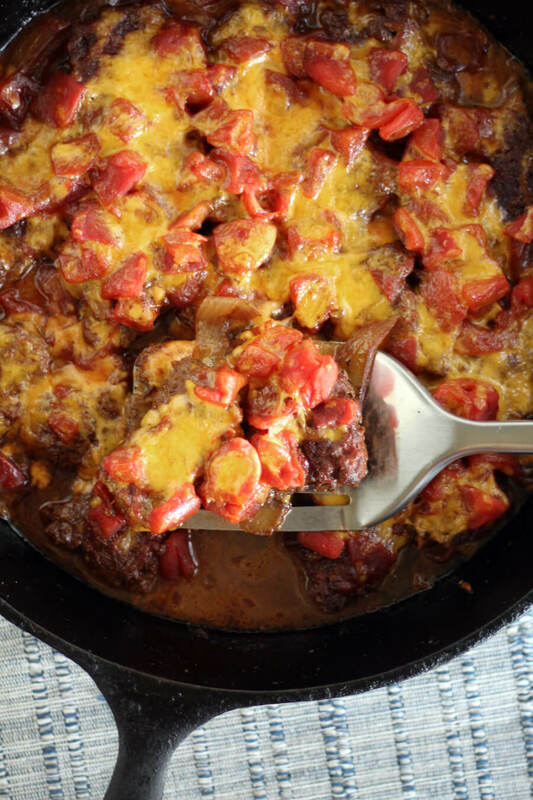 We love ours in gravy, country fried, and of course, simmered in tomatoes and onions in this Chili Cheesy Round Steak. Love this post? Sign up for the Buy This Cook That Newsletter for a weekly email of new content. You can also follow us on Facebook, Pinterest, Twitter and Instagram for our latest + greatest ideas. 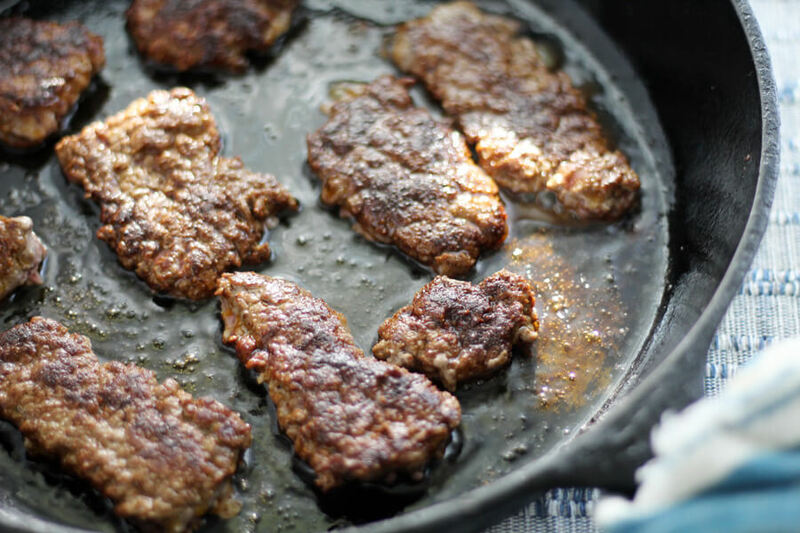 A hearty and comforting one skillet meal that is the perfect recipe for less expensive cuts of meat such as round steak, venison, cube steak and more. 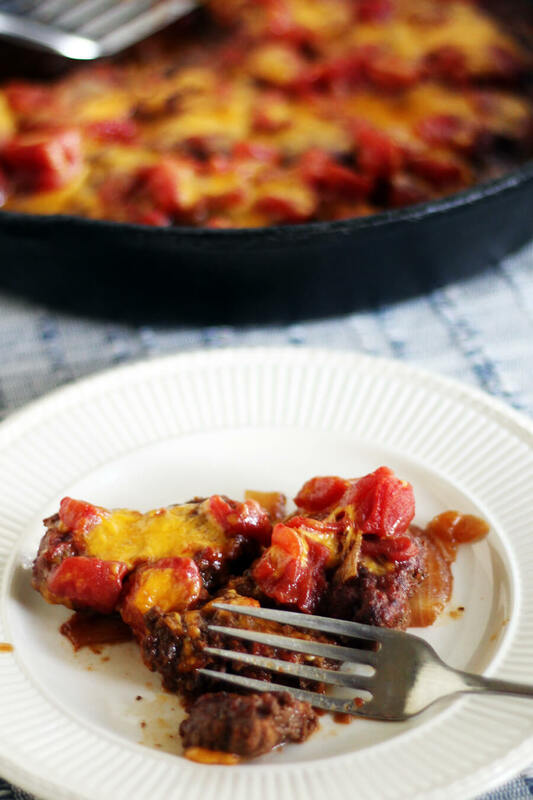 An easy blend of spices combined with tomatoes, onions and cheddar will make this a family favorite. Preheat oven to 350 degrees. Cut the round steak into serving sized pieces. 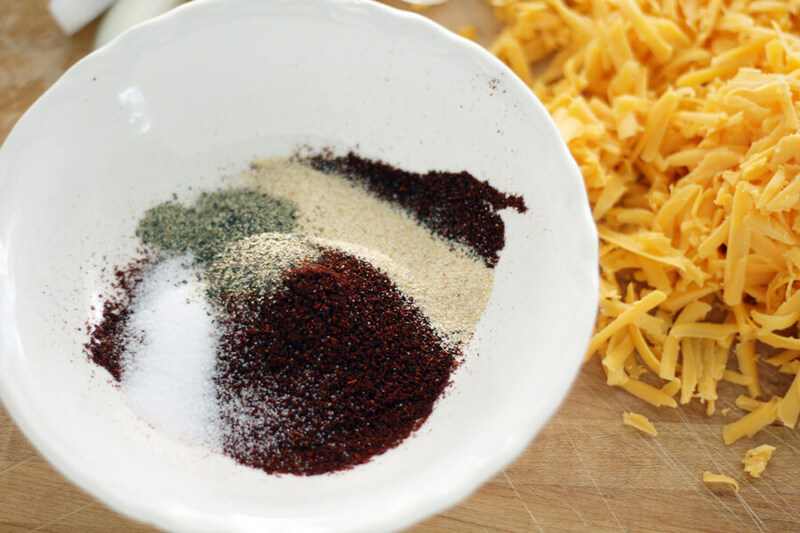 Combine the chili powder, flour, garlic powder, salt, and pepper in a small bowl. Using your hands, rub the spice mixture into both sides of the round steak. Heat half of the butter in a 10 inch cast iron skillet. Cook the coated steak pieces in the hot butter on medium high until both sides are evenly browned. Do not fully cook the steak, just brown both sides. Transfer the browned steak to another dish and cover. In the same skillet, melt the remaining butter. Add the onion slices and cook for about 10 minutes until they are crisp-tender and golden. Arrange the prepared round steak on top of the onions. Pour the stewed tomatoes and their juice over the top. Sprinkle evenly with cheddar cheese. Cover with foil and bake for 30 minutes. Uncover and bake for another 15 minutes.